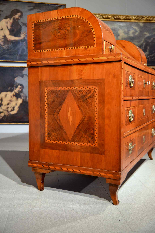 Splendid Louis XVI flap entirely inlaid with geometric patterns on the entire surface; The cabinetry of the Trentino of the second half of the eighteenth century is well represented by this beautiful piece of furniture, where the Austrian and Veneto taste are perfectly melted to obtain an excellent blend of precious woods and refined decorations. 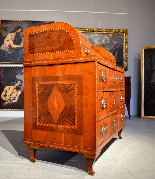 The furniture is in perfect condition, authentic in all its parts, external and internal, including hardware and handles. 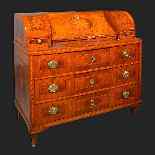 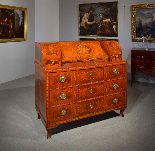 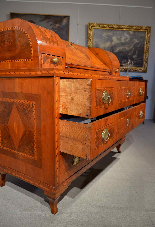 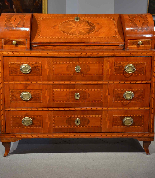 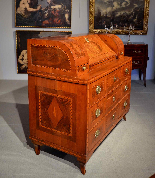 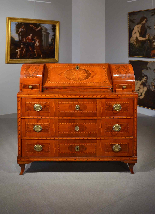 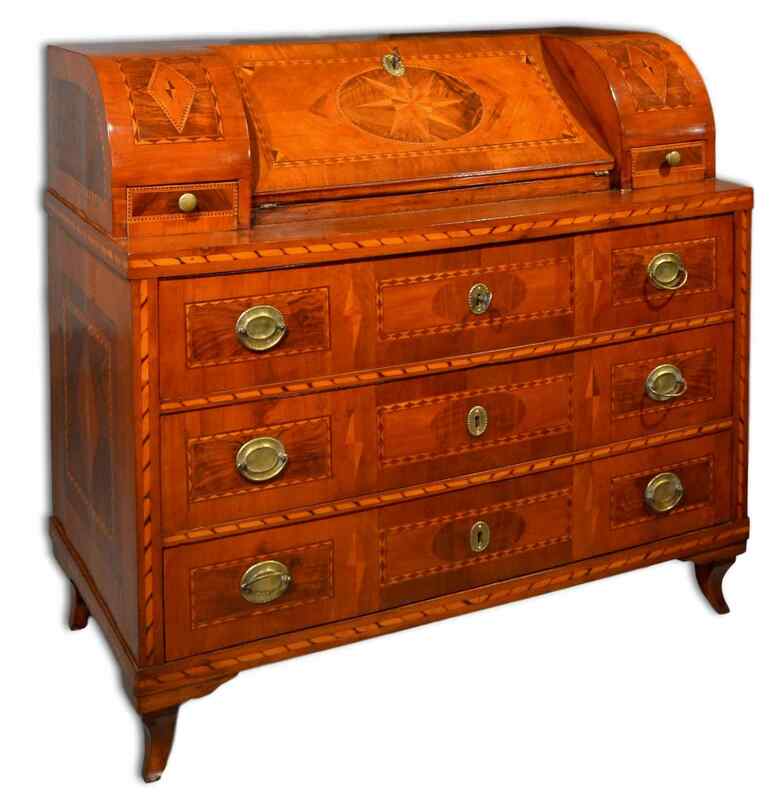 The furniture, like all our objects, is sold accompanied by a certificate of authenticity.